There is a fifth dimension, beyond that which is known to man. and the summit of his knowledge. It is an area which we call the Twilight Zone. The thing about The Twilight Zone series, and particularly these episodes below, is that the twists that happen get you deep in the gut. They challenge what you know about reality, and make you ask the right questions. Even now, just looking at the still-shots taken from the episodes, I feel the tension the story elicited when I first saw the episode. Have fun. 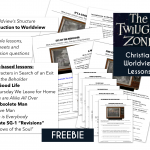 You are now entering…The Twilight Zone. What is that from which everything else comes? These are some of the questions we will be dealing with in these lessons. 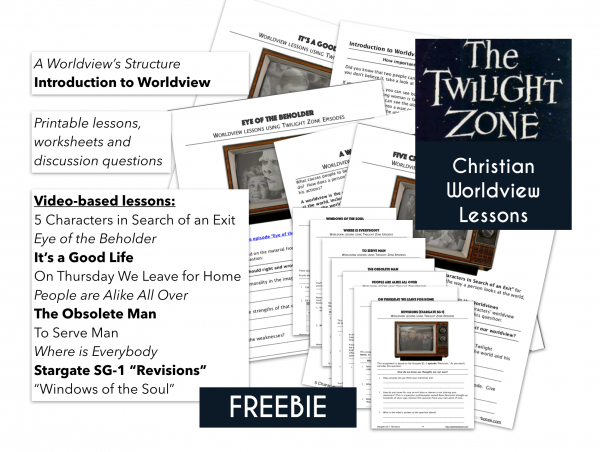 After you have studied these videos with your kids/students you will know how to analyze the ideas Twilight Zone addresses. You may want to occasionally take a look at other episodes, and dissect those as well. 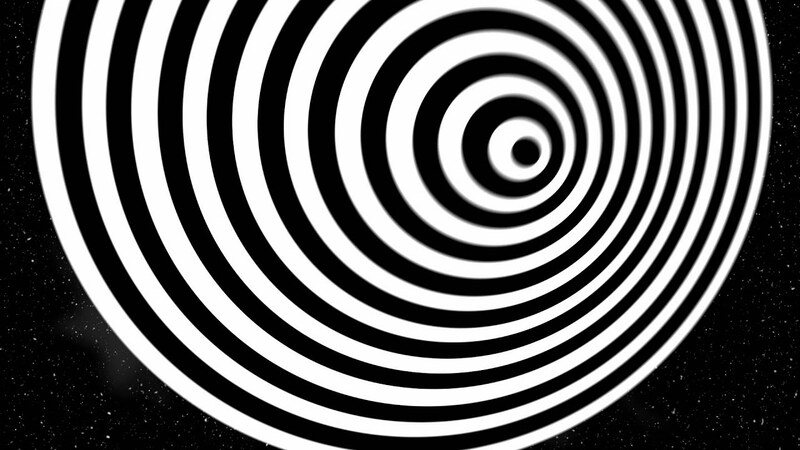 Here is the list of all the early Twilight Zone episodes. Keep an eye on this webpage, or sign up by CLICKING HERE. 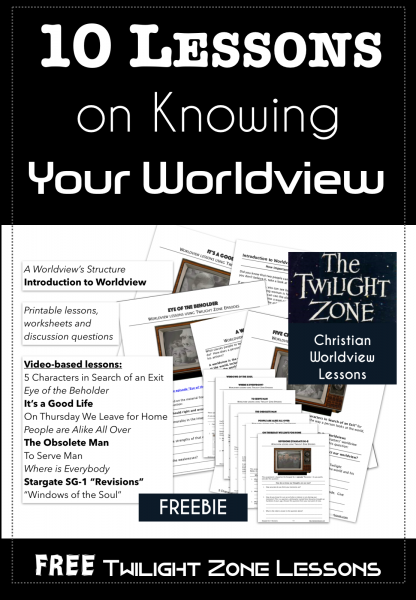 I will be updating the lesson plans to make it a more and more comprehensive set of worldview lesson plans, and will send members news as the lessons become live. note: Much of the material here was originated by teacher Darren Hom and posted years ago on Teachbible.com, now offline. It has been reposted here with his permission.